This slightly larger version of the Glock 17 is chambered for the slightly more powerful 10mm round. 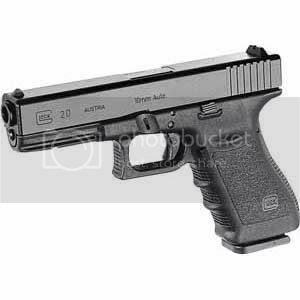 Due to its high quality of manufacture, the Glock 20 is always considered a mastercraft weapon. As such, it grants a +1 bonus on attack rolls.